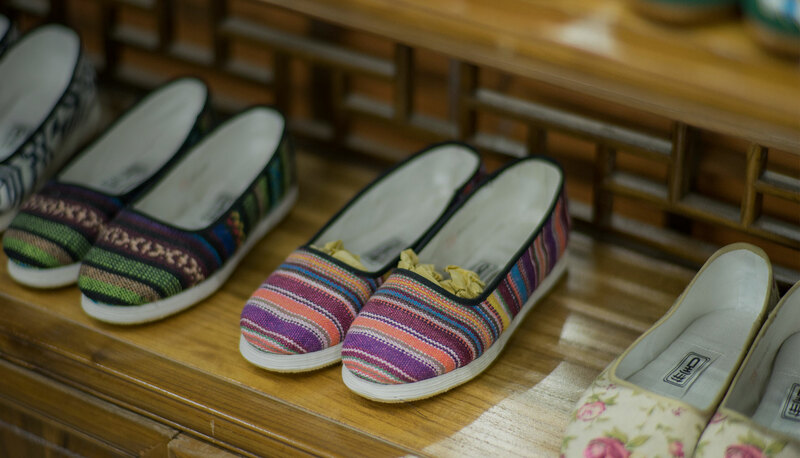 When local authorities seized Feng Aiqian's basket of shoelaces and buttons for the umpteenth time on a day in 1982, she decided to confront the Party chief of Yiwu county, Zhejiang province. "I just want to sell things," she told Xie Gaohua, who had recently taken the post. Touched by Feng's circumstances — having to feed four young children and an elderly mother — Xie granted her permission to begin her small commodities business. This meeting between Feng and Xie was written into the county's lore, told as the inception of the famous Yiwu small commodities market, which cut its ribbons four months later. Though begining as a collection of makeshift sheds, the market boomed, extending all the way towards the site of the Party committee where Xie worked. Xie's decision was bold at the time. China had announced its reform and opening up four years ago, but few dared to openly endorse free market practices previously prosecuted as "capitalistic activities." 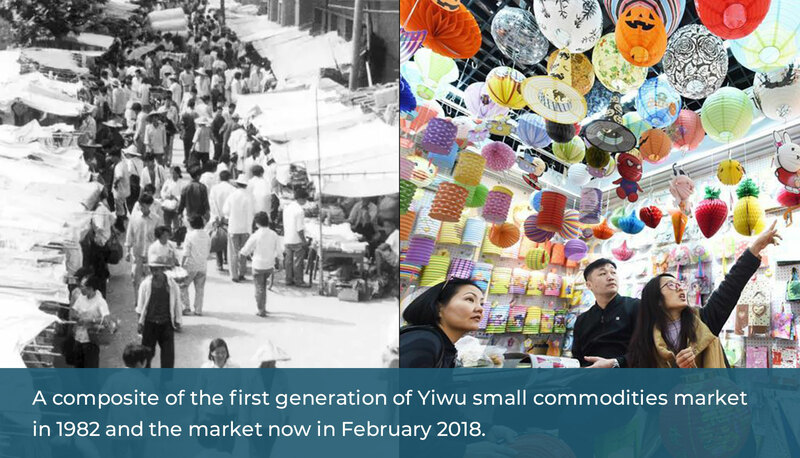 However, his support for Feng and the new marketplace proved game-changing: After several rounds of expansion in almost four decades, the Yiwu small goods market grew to house more than 380,000 registered businesses. Today, Yiwu annually exports more than 200 billion yuan (US$31 billion) worth of goods to countries around the world. The tiny town tucked in the hills in eastern China earned the name of "the world's largest small commodities market" and became an epitome of "Made in China." Wang Minfeng's store sells hardware tools on the eighth floor of the District Four building, among the sprawling market complex called the Yiwu International Trade City. Sitting next to other stores peddling colorful gift packets, umbrellas, and clocks in the shapes of Disney characters, Wang's tools appear modest and subdued. 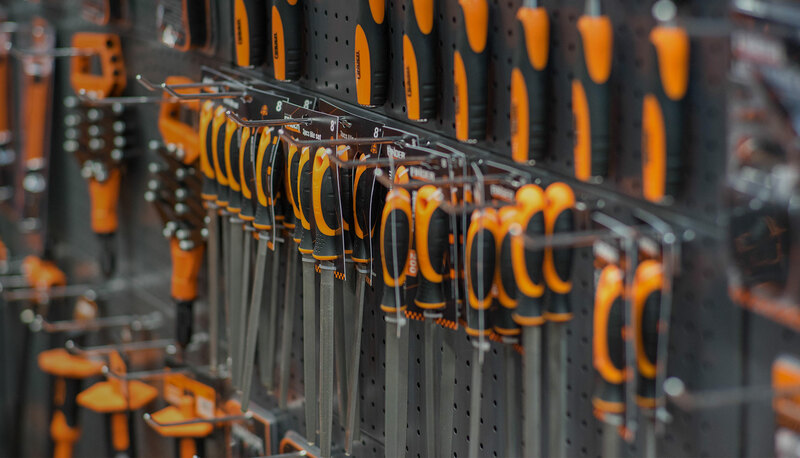 Yet with a unifying black and orange theme and a stylish logo, the tools extend a subtle cachet that makes them easily recognizable. Like his store, Wang appears humble, avoiding eye contact and speaking tersely — until the topic turns to his wares, and he becomes as good a salesman as any. He would take you through his myriad products displayed on the walls. And if those are not what you are looking for, he would pull out his smartphone with pictures of the tools his team has in the pipeline, like a proud father showing off photos of his kids. Similar to many small business owners in Yiwu, Wang built his store from the grounds up. He launched his business in 1998 and became a major distributor for a famous screwdriver manufacturer two years later. Not satisfied with the growth prospects, he and wife Chen Yanzhen took out a high interest loan of 200,000 yuan in 2004, moved the store from a rented makeshift booth to the newly built market, and registered their own brand. Chen recalls the years of trials and tribulations before the couple found their footing. "In the past, it was all about hard work, but now it's about new things and we have to respond quickly." When the SARS epidemic hit China in 2003, the trading hub in Yiwu faced threats from potential carriers travelling from all over the country. The jam-packed marketplace compounded the risks, with cement booths measuring only one or two square meters squeezing next to one another. "We didn't take even one day off but went to the market every day," Chen says. "When customers from Guangdong (where the epidemic originated) came to the market, my husband gulped down garlic and the so-called preventive medicines before going ahead to wait for them at their hotels." The hard work and risk taking — both physically and financially — would eventually bear fruit, as the company gradually took off. According to Wang, annual sales now reaches 60 million yuan, and his tools are sold to over 100 countries. What is next for Wang? The seemingly reserved entrepreneur is not shy about his ambitions, writing his goals right on the shopfront window: Building an e-commerce team and securing at least 50 international distributors; revving up on R&D and entering the second phase of brand-building; preparing to introduce stock options. Through these new tools and platforms, Wang says he hopes to build a globally recognized brand. Unlike the previous generation Yiwu traders who began in makeshift booths, Ye Peng launched his store in the online marketplace. 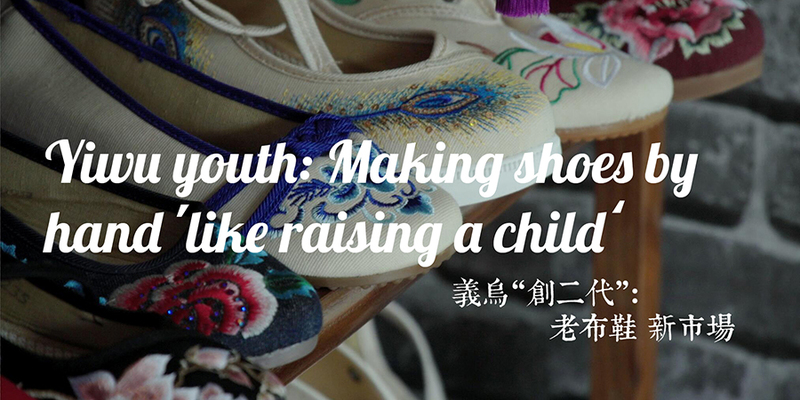 Ye is a Yiwu native, whose parents sold shoes. After college in nearby Hangzhou and a brief stint at a state-owned company, Ye returned to his hometown and took up the family trade. His impetus was a drive by the city to boost e-commerce in 2012, which has seen tremendous growth since. Just last year, the city reported an e-commerce trade volume of 222 billion yuan, 25 percent more than 2016. Ye has a storefront in the Yiwu International Trade City — at a lavish 425 square meters, eight times the size of his first booth. His annual sales made similar leaps, from 2 million yuan in 2012 to 14 million yuan today. He says 80 to 90 percent of his trades are conducted online. His experiences in e-commerce goes back all the way to his college days running an online store. 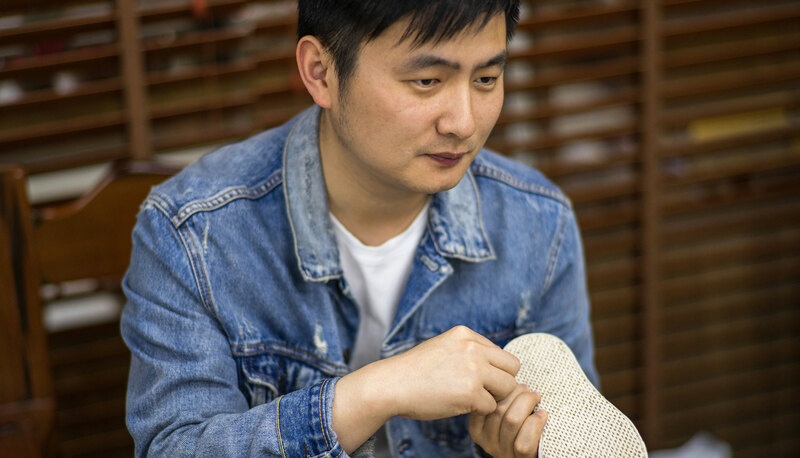 When he first started his business in Yiwu, his shoes were sold on Taobao, the giant online marketplace under Alibaba. He has since shifted focus to higher-end sites, supplying retailers instead of selling directly to consumer. Ye says this has helped him raise his product quality, which allowed him to price his handmade shoes twice as much as his peers while remaining competitive. "Since I started my first brick-and-mortar store back in 2015, I have been determined to keep the shoes as a baby whom I'll carefully raise up in 20 or 30 years, until when it will be widely recognized," he says. "I can make cheap but poor quality shoes that sell a lot, but that's not what I want." His sentiment seems to mirror the way his hometown has also grown over the years. "Yiwu used to be a little unknown town that's surrounded by hills on all four sides, and nobody could have thought that it would achieve what it has today," Ye says with a spark in his eyes. "I think that achievement has to do with the aspiring spirit in our genes." As one of the world's biggest trading hubs, Yiwu is not only home to tens of thousands of Chinese traders, but also13,000-strong resident foreign traders, and annually accommodate more than 500,000 foreign business travelers. One of them is Aileen Lim, a Chinese descendent hailing from Malaysia who imports teapots. "I picked up the tea obsession from my Chinese friends," she says in fluent Chinese with the hint of a southern accent. When Lim arrived in Yiwu for the first time in 2004, she was shocked to find dirt and mud roads right outside the airport. "I come from Penang, Malaysia, which was already quite prosper at that time, but Yiwu, oh, what a sight!" But she was not daunted, and she said she was inspired by the city's spirit. "People in Yiwu were very hardworking. And the city, though very small, was bustling and lively." Yiwu built a venue for foreign expats in 2008, as part of the city's attempts to foster imports in order to mitigate risks from a shrinking export-led economy. Lim was the ideal recruit, already a seasoned importer at the time. She took up the offer in 2011 and has since then come to call Yiwu her second hometown. "I think one of the best things about Yiwu is that it is very inclusive, that it embraces us strangers, making us feel at home," she says. "Yiwu is the exact embodiment of opening up. We have traders coming from 200 or more countries, so we are like a small United Nations without its politics." This does not mean she is uninterested in the major goings-on in the world. She has kept a watch on China’s ongoing Belt and Road Initiative, witnessing more and more traders arriving in Yiwu from Africa and ASEAN countries along the routes. "It is not only about trading goods, but also exchanging ideas and cultures," she said, looking to the flags of various countries dotting the aisles outside her shop. Perhaps no one in Yiwu knows more about the Belt and Road Initiative — and the opportunities it brings — than Bei Xudong, who oversees the operation of the intercontinental "Yixinou" railway, connecting Yiwu to a number of European countries. 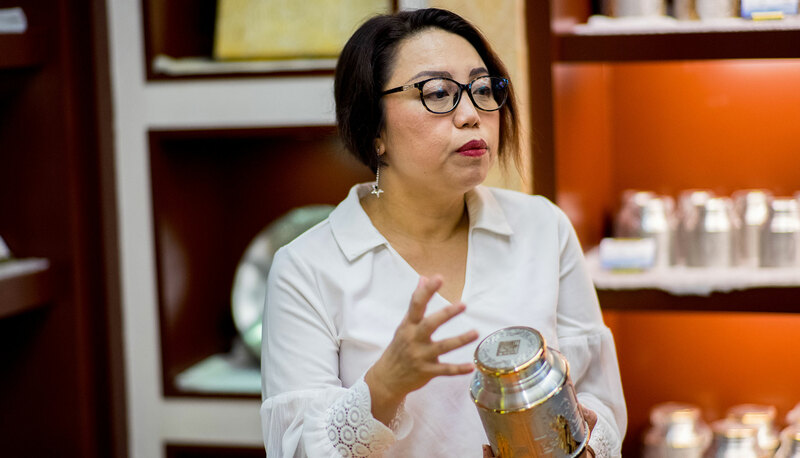 Rather than focusing on the benefits, however, Bei looks down the path toward obstacles and makes plans to keep the momentum for Yiwu to grow. Yixinou, connecting Yiwu with a number of European countries, is hailed as an exemplar of the massive Belt and Road Initiative. One potential pitfall, Bei says, lies in the increasingly breakneck competition for business with European countries. Yiwu is therefore considering building alternative rails this year, extending to Western Asia, the Caspian region and Southeastern Asia. Like the visionary Party secretary credited with starting it all, Bei is hoping the market could take the reins on these expansions. Yiwu has not offered subsidies to the railway, and the city entrusted the railway's operation to a private company. 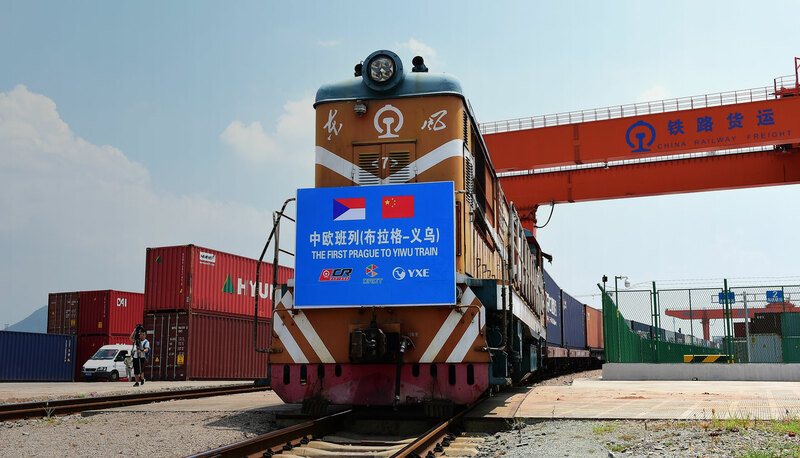 Bei also reveals that Yiwu is mulling over a "Belt and Road Czech Station" in the Czech Republic, which would integrate the Yiwu-Czech railway, trade, logistics, warehousing, freight stations and other functions. 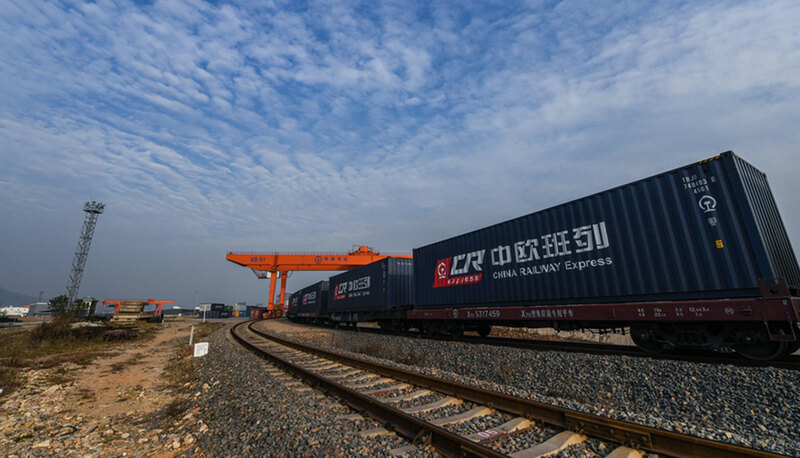 "We not only aim at building the Yixinou into a key logistics channel, but also a channel for Yiwu to deepen trade and cooperation with the countries along the railway," Bei said. Echoing Bei's ambition for the city is Bao Shumin, head of the Research Institute of Yiwu Reform and Development. 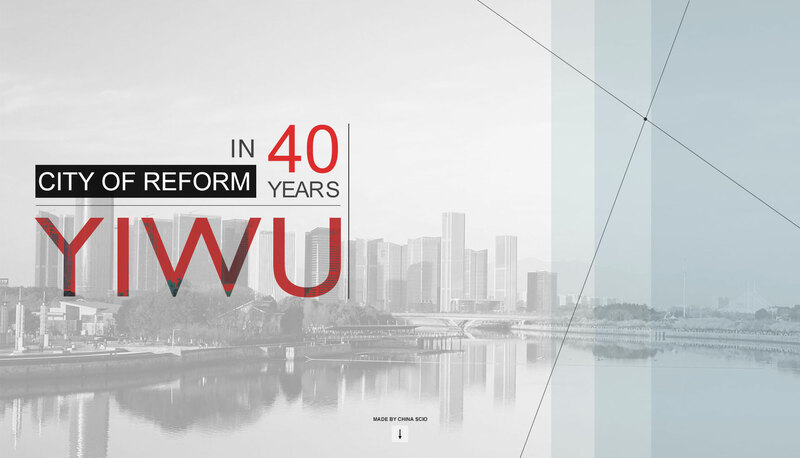 She recounts the nearly four decades of Yiwu's reform — beginning in the early 1980s with the establishment of the small commodities market and zeroing in on domestic trade, transitioning to exports alongside China's accession into the WTO in 2001, and now growing its import potential and positioning itself as the "world capital of small commodities." "Yiwu has always been a leading example of county-level reform across China," Bao says with pride. The urge to reform, Bao says, comes from a collective self-awareness. Seeing themselves as underdogs, people from Yiwu worked harder and took more risks in order to overcome their geographical disadvantage and lack of natural resources. "We always want to keep ahead of the times," Bao says. In 1982, a new official in a poor rural county in China was moved by a local woman's struggles and gave her permission to sell shoelaces. The legend goes that this sparked the region's reform and opening up efforts in earnest, eventually turning it into the world's largest wholesale market of small commodities. The county is Yiwu, in Zhejiang province, home to the world's renowned Yiwu small commodities market. The county official, Xie Gaohua, is now 87 years old, but he remembers the encounter clear as if it was yesterday. 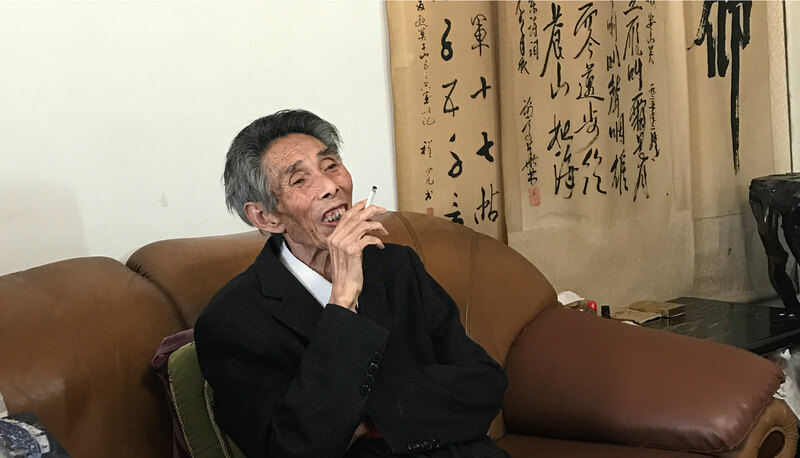 Sitting in his home, Xie recounted this fabled story and other circumstances that led to Yiwu's remarkable transformation. Xie was transferred from Quzhou, another town in Zhejiang province, to become the secretary of the Yiwu Party Committee in April 1982. "Quzhou was poor then, but Yiwu was much poorer," Xie said. "People were starving and tried hard to survive. I had to do something." But instead of giving orders and making comments straight away, as many did, Xie began by listening to local people and studying his new surroundings. He found that a bartering business, exchanging brown sugar for chicken feathers — a tradition that dates back to the Qing Dynasty a century ago — still thrived in the area. The tradition had evolved into a booming hawking business, the main way for many local people to make a living. In this, Xie discovered the hidden vigor of Yiwu's economy. However, working as a hawker was forbidden after the founding of the People's Republic of China, as it was deemed as a "capitalist activity," the antithesis of the creed of the Communist Party. Therefore, although the Chinese leadership proclaimed the beginning of the country's economic reform and opening up in 1978, few dared to support these activities in practice. 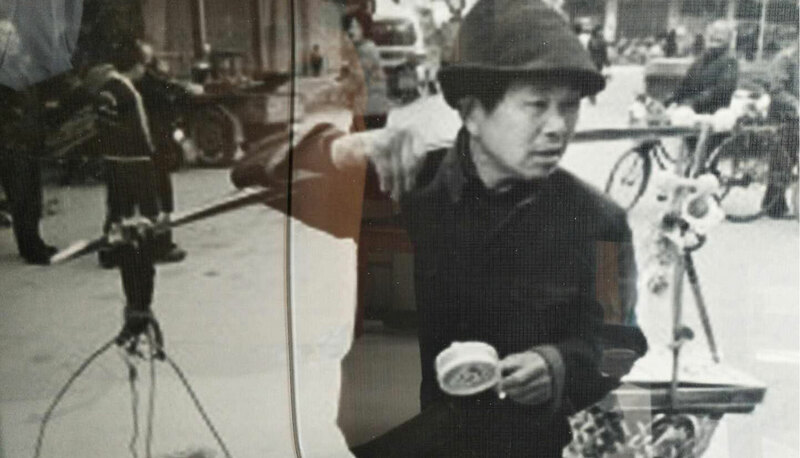 Then came the fateful encounter in May 1982, between Xie and a street vendor named Feng Aiqian. "She met me outside the government building to complain after her goods were confiscated by local authorities again." Xie said. "I couldn't understand the Yiwu dialect, so our conversation was difficult and sounded like a quarrel, drawing many onlookers." Not wanting to make a scene, Xie invited Feng to his office. "Our talk softened after she offered me a cigarette," Xie recalled, looking fondly at the cigarette between his fingers — he still carried the habit. "She said she was doing business on the street to make money to support her poor family." After more than one hour's conversation, Xie assured her that she would be allowed to peddle goods on the street. The talk prompted him to travel to nearby Wenzhou, the first city in China to set up private enterprises, to do research. "The more I learned, the more I thought building a free market conformed to the guiding principles given by the central government. It was not the capitalist practices that many feared." 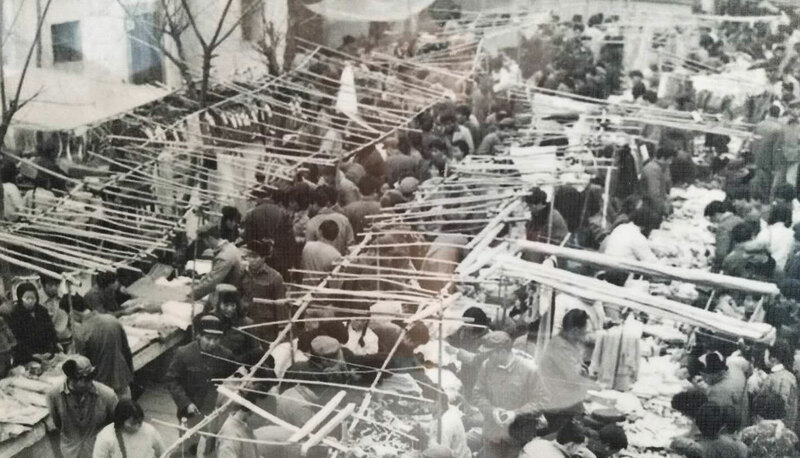 Four months later, in September 1982, Yiwu announced that it would set up the Huqingmeng Market, at the time merely a collection of sheds and stalls. The market, however, would eventually grow into today's Yiwu small commodities market. To develop the market, Xie put forward a guideline of "four allows" — allow farmers to do business, allow long-haul trans-port trade, allow the opening-up of the urban and rural market, and allow multi-channel competitions. The bold move caused resentment among people working at State-owned businesses which took a beating from the free market competition. "To get rich through labor is respectable," Xie asserted. The sentence became a catchphrase in the ensuing years. This was the first time in China that a local government officially recognized the legality of a free market for farmers and vendors. Legitimizing the small-commodities market was no easy task, be-cause ideological shackles still gripped people's minds. Those in the authority were afraid to make bold moves, despite the direc-tives from the third plenary session of the 11th Central Committee of the Communist Party of China that was held four years before, which launched various measures of reform and opening up. Xie's vision and boldness was a precious rarity that led the way. 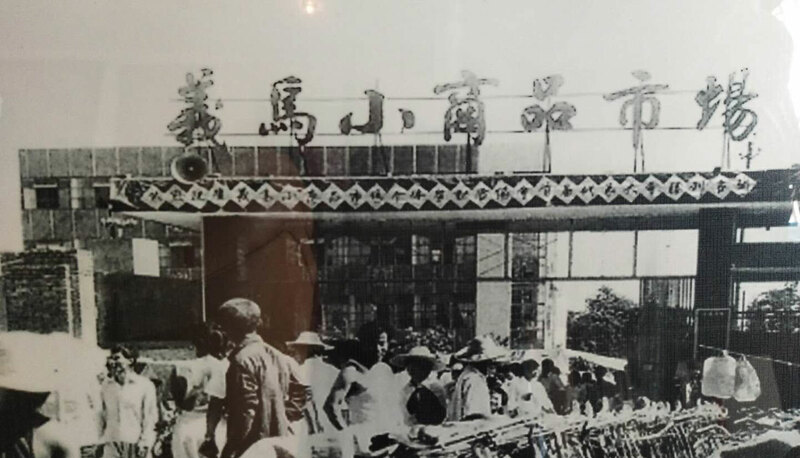 In October 1984, he proposed a city development strategy called "prosper through trade and commerce," aiming to develop trade as Yiwu's pillar industry and foster a market. 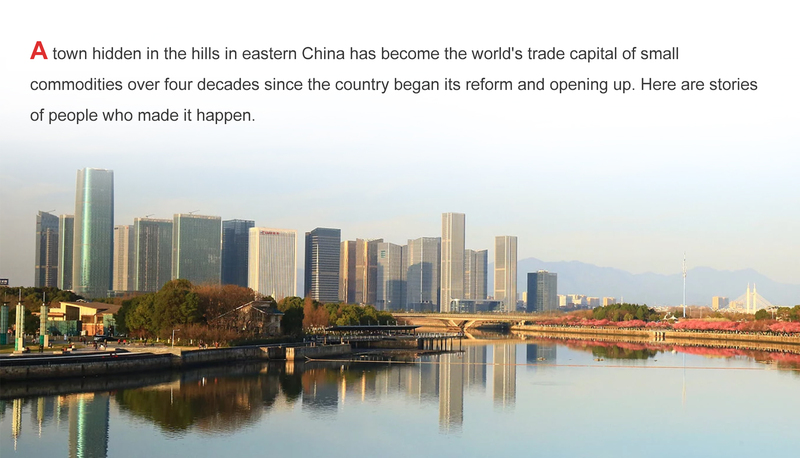 The strategy was not conceived from the vacuum, but a result from what he saw and learned in his trips to Shenzhen, Zhuhai and Shanghai, all of which were pioneering cities that spearheaded China's reform and opening up. "After visiting those cities, I found that there is always a market first, then there is a city," he said. That was where the strategy came from. Then he immersed himself in the works of Marxism, the guiding theory of the Communist Party of China, to search for doctrines to endorse his idea. "I didn't claim to understand everything about Marxism," Xie, a farmer's son with only an elementary school education, acknowl-edged. "But I was convinced that the strategy won't go against it." His development strategy proved to be right and put Yiwu on the path to prosperity with its small commodities economy ever since. Despite his humble beginning, Xie had a flair for leadership. He held himself accountable, made bold decisions and was prepared to take risks. He said, "Party officials must serve the people and should not go against the aspiration of the people." He tried to shy away from public praise that he was the founding father of the Yiwu market, and instead attributed the success of the market to the spirit of Yiwu — pioneering, inclusive, hardworking and entrepreneurial. Xie is not a Yiwu local, but he said he considered Yiwu as his second hometown. 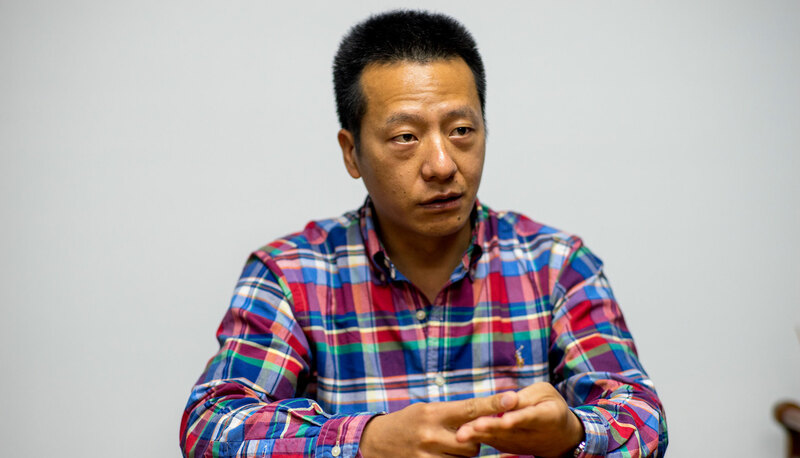 Although Xie held his post in Yiwu for less than three years and left it over three decades ago, Yiwu's business people still feel indebted to him. Every year since 2015, representatives from Yiwu's business community would drive Xie for 150 kilometers from his hometown in Quzhou to Yiwu to attend the China Yiwu International Commodities Fair. He said he plans to attend the expo again this November.